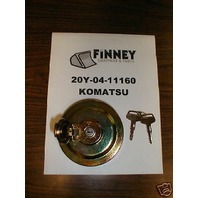 You are bidding on a NEW Komatsu Excavator Fuel Cap with 2 keys. The part number for this cap is 20Y-14-11161. As high as fuel is at the moment you are going to need more than just a rag in your fuel fill. Anyone who has lost one of these on a job site knows how handy it would be to have a spare to keep dirt and dust out of your fuel tank. Also it will reduce your chance of vandalism. But don't worry about the price, you'll be getting exactly what you need at a fraction of the cost. 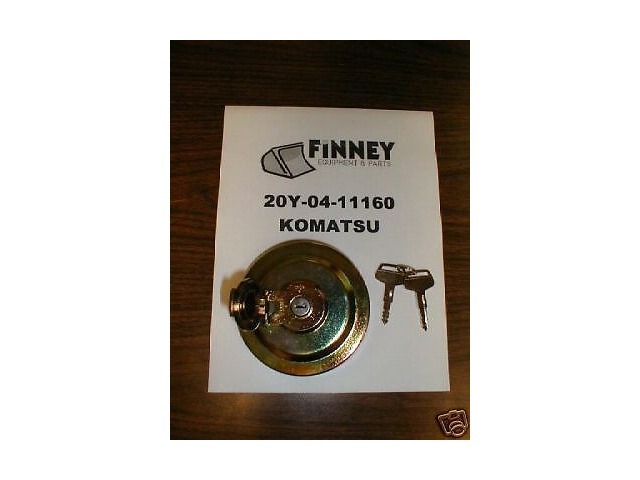 This fuel cap is a direct replacement for Komatsu p/n 20Y-04-11160 or 20Y-04-11161. This works on all of the Komatsu -5, -6, and -7 series excavators (example: PC200LC-5) as well as the D32, D38, D41A-6 and D65 -12 series. This will NOT work on any of the -3 series excavators. 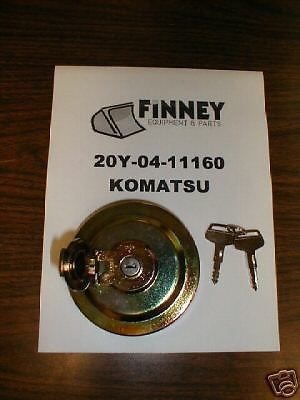 At your local Komatsu dealer this fuel cap is going for big bucks...our price is only $40.00. Also instead of waiting for Komatsu to ship your order, we'll send it out right away and save you money. IF YOU PREFER, WE OFFER A FULL LINE OF KOMATSU PARTS AT PRICES LOWER THAN YOUR LOCAL DEALER. YOU HAVE A FRIEND IN THE PARTS BUSINESS.